one when u add a new template on this site how come it shows you a small image of it in a square? code please? 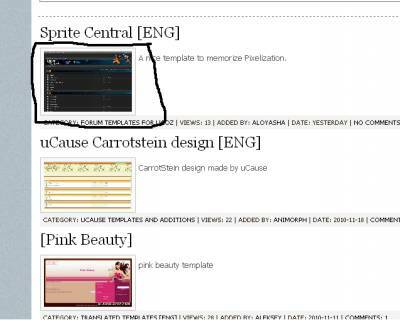 two, how do the ucoz template guys make the preview button? where do we put that? Really? how? isn't that to show image when u ad new entry? oh i know that, but i mean how they have it in theirs.